The United Arab Emirates, under the farsighted leadership of our President, His Highness Sheikh Khalifa bin Zayed Al Nahyan and attention to sports and childcare, “The Dubai Sports Council’’ & “Hamdan Bin Mohammed Community Sports Initiative” organized an Emirates Kids Run 2018. The major focus of this event was to inculcate fitness, sports and good eating habits in children from a very young age for a healthier & better future. 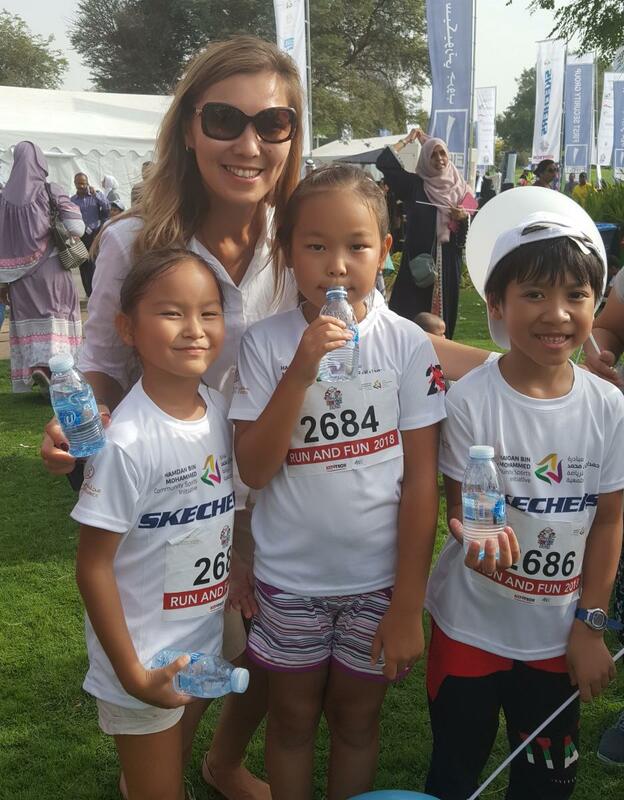 All kids were awarded to participate in the Emirates Kids Run. Unikai strongly supports such initiatives and therefore participated as an official water partner by provide hydration with our newly launched “U” water brand which has the perfect balance of PH & Sodium levels. This water is one of its kinds in the vast range of water brands available in The UAE. To be in line with the “Year of Giving” as declared by UAE’s President His Highness Sheikh Khalifa bin Zayed Al Nahyan. 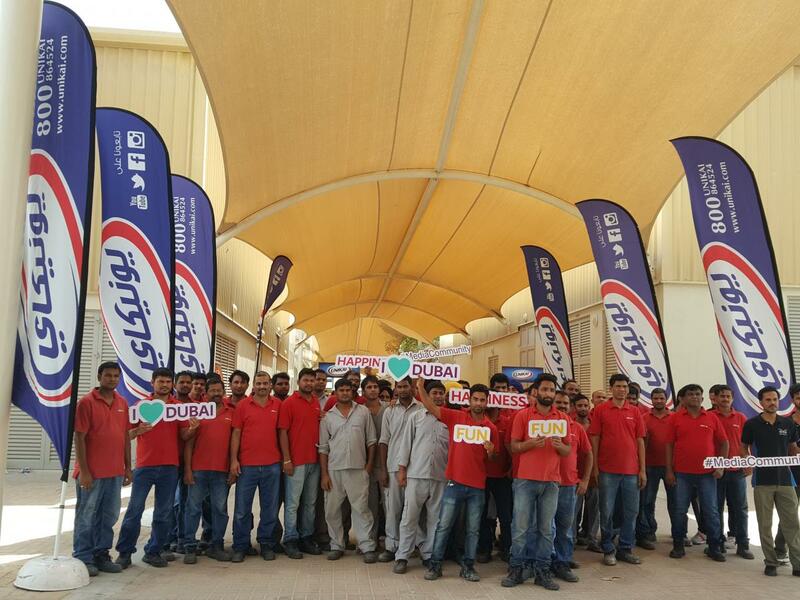 During the hot summer of 2017 we did a CSR initiative in collaboration with IMPZ, a semi-government organization, by distributing ice-cream and refreshments to the laborers in The Dubai Production City Campus. More than 2000 blue collared workers benefited from this event. Unikai a proud sponsor of ‘Walk for Autism 2017’ held at Zabeel Park, Dubai. The fun-filled event was held to raise awareness of Autism and highlight the importance of integrating children with special needs into the community. The Hag Al Leila celebration organized by Dubai Health Authority (DHA) is an Emirati festival of giving where children go door-to-door to sing and collect sweets, nuts and money. At Unikai, we are proud to be a part of the celebrations by distributing ice lollies around the DHA premises as a part of our collaboration. At Unikai we believe in giving back to the society. Our CSR initiatives are executed keeping economic, environmental and social objectives in mind. In order to spread awareness amongst motorist (drivers) during the holy month of Ramadan Unikai participated in the Road and safety awareness campaign with RTA and Al Ahli driving center and distributed gifts and educated the motorists through flyers to ensure safe environment for drivers and pedestrians. 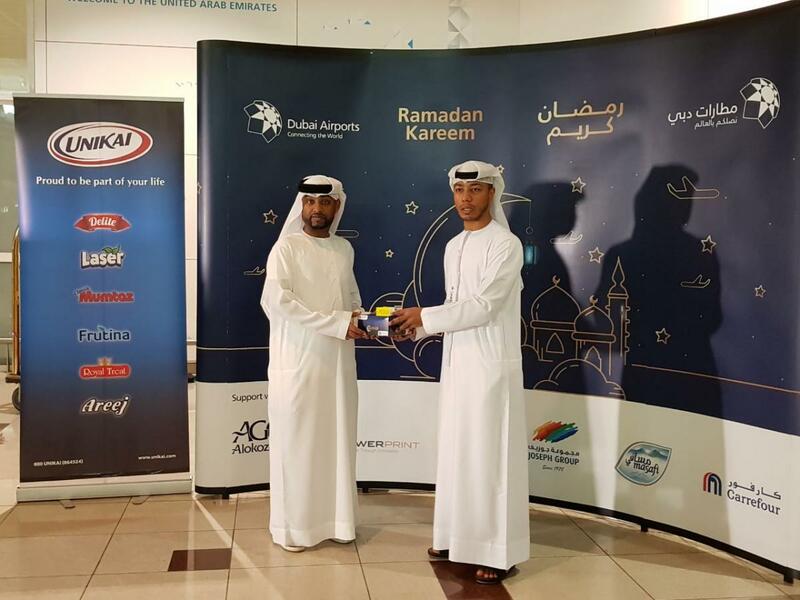 In order to make it easy for the people ‘on the move’ to break their fast in the holy month of Ramadan; Unikai collaborated with Dubai Airport Authority and distributed Iftar boxes at the Arrival Terminals. 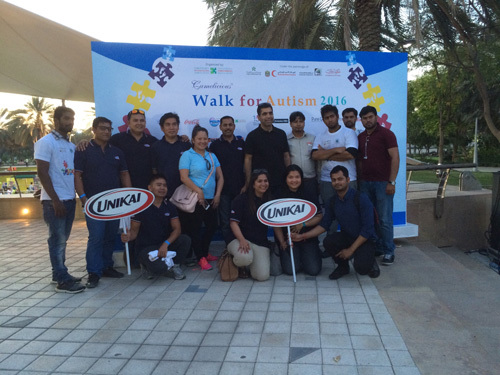 Unikai a proud partner of ‘Walk for Autism’ held on 23rd April 2016 at Zabeel Park, Dubai. The fun-filled event was held to raise awareness of Autism and highlight the importance of integrating children with special needs into the community. To reach out to new consumers and introduce our new launch of Strawberry milk to existing customers, we conducted free sampling at our Unikai shop and a total 25 outlets such as Union Co-operative, Sharjah Co-operative, Aswaaq, Al Maya, Ansar Gallery, etc. 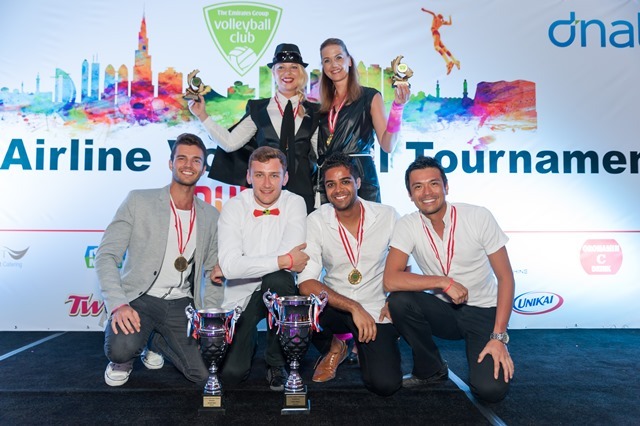 An international event held in Dubai, where more than 200 volleyball players from over 15 airlines across the globe came down to participate in the 3rd Inter-Airline Indoor and Beach Volleyball Tournament organized by Emirates Group Volley Ball Club. Along with Unikai and many other well-known brands, this tournament was supported by the UAE Volleyball association; here we saw high level volleyball with teams competing for top positions. Participating airlines where Air France, Aer Lingus, British Airways, Swiss airlines, Lufthansa, My Austrian, Quantas, Airservices, Tap Portugal , Amadeus & Emirates Airlines, Dnata and Emirates Airlines. 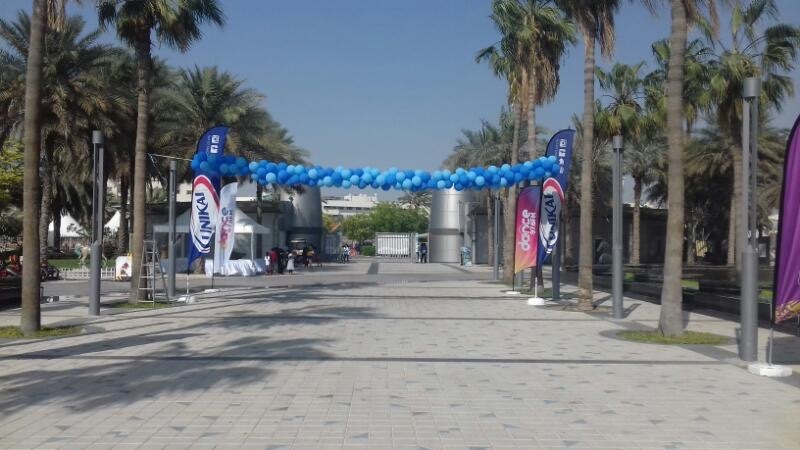 Unikai supported RTA in educating the students of American University Dubai. This while distributing yummy Unikai ice-creams and lollies. Unikai’s first display at the region’s largest food & hospitality show at the Gulfood 2016 served as a great platform to reconnect with our consumers & customers. We had over 4000 visitors at Unikai stand across 5 days while generating 300+ sales inquiries. 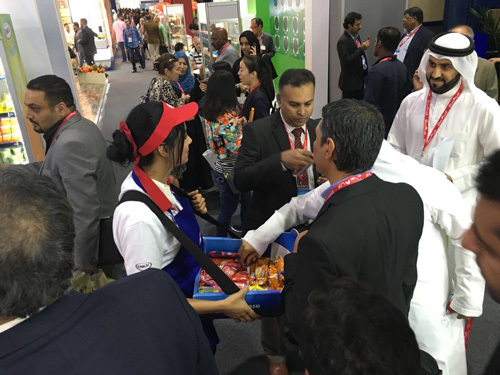 Unikai was the only brand to conduct mobile sampling at Gulfood 2016, leading to 17,000+ samples being distributed. On the business front, we are proud to announce the MOU being signed with Behzad Group for Unikai distribution in Bahrain. Error validating access token: The session has been invalidated because the user changed their password or Facebook has changed the session for security reasons.